# इतिहासावर १०-१२ प्रश्न अपेक्षित असतात. # आधुनिक भारताचा इतिहास – महारष्ट्राच्या अनुषंगाने – समाजसुधारक. # मुळात इतिहास हा स्कॉरिंग subject म्हणून त्यावर लक्ष द्या. # पाठांतर आणि विश्लेषण या दोनही अभ्यास वैशिष्ट्यांवर हा विषय आधारलेला आहे. # म्हणजेच bits आणि statement या दोन्ही स्वरूपातील प्रश्न इतिहास विषया-अंतर्गत विचारली जातात. Bits प्रश्न – या मध्ये तारीख वेळ काळ ठिकाण व्यक्ती यांवर आधारित सरळ प्रश्न असतील. प्रती प्रश्नामागे या section ला अगदी १० सेकेंदा पेक्षाही जास्त वेळ येथे घालवू नये असा सल्ला देईल. प्रश्न येत असेल तर circle करा आणि confuse असाल तर hardly u may take 5 sec more. फक्त प्रत्येकच प्रश्नासाठी extra वेळ घेऊ नये. Statement प्रश्न – यात कार्य – परिणाम – कारणे – हेतू यांवर आधारित प्रश्न असतील. या थोडा जास्त वेळ द्यावा. एक तर प्रश्न मोठा असेल त्यात A B C… statement मग नंतर खाली पर्याय. तेव्हा प्रश्न काळजी पूर्वक वाचा मग विचार करून उत्तर circle करा. इतिहासाचा अभ्यास करताना basic आणि advance दोघी बुक्स सोबत अभ्यासा. advance म्हणून जयसिंग पवार यांचे आधुनिक भारताचा इतिहास. # शेवटी एकच सांगेल पपेर आणि आभ्यास दोन्हीही ठिकाणी जास्त वेळ इतिहासात घालवू नये. # ८ दिवसांच्या वर पूर्ण revision साठी लावू नये. संपूर्ण महाराष्ट्र इतिहासावर focus करून पपेर देतात पण select व्हायचे आहे तर हे व्यवस्तीत करून पुढील कठीण विषयाकडे लवकर वळा..
काही समस्या असतील प्रश्न असतील तर नक्की विचारा आम्ही आपल्यापरीने उत्तर देण्याचा प्रयत्न करू..
Mission STI – अभ्यास कसा करावा..? Sir …this all above ques and ans are really helpful for me….so thank you for this great guidences…. me sti exam sathi preparation karto ahe.. me history sathi book search krtoy. “S. 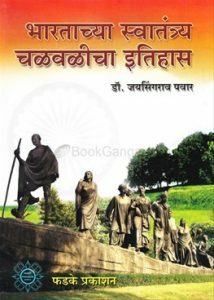 Chand Publication’s A New Look at Modern Indian History by V. L. Grover & Alka Mehta”. plz he donhi nav ekch book che ahet ki he 2 vegle books aahet?? karan yamadhe N.K.Belhekar ani Alka Mehta he author vegle ahet grover sobt.. plz margadarshan karave..
Kindly post articles for beginners. मी लवकरच site restructure करतोय ज्या मुळे beginners ला फायदा होणार आहे. Thank you very much Sir! As i am also doing job. Your above answer have boost my confidence. sir ,kindly tell me books for geography n for sti n state services exam ?? Do read previous guidance topics or article on our website and mean while we are uploading the strategy as per common students only.. These are more than enough for upcoming STI in aspect of history. If your well prepared for history of india just focus on topics related with Maharashtra. and revise everything in last phase once Or for now move to another subject which u find quite difficult. About eco. these authors are best. If u have completed their both books. I would suggest their is a new question set of economics by Dr. Desale. It will be beneficial as per next sti and Rajyaseva. By the way myself dr. Prashant doing MD ayurved…. 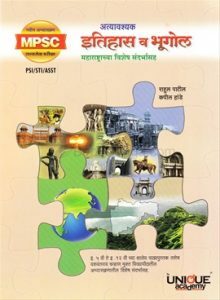 Firstly thank you and congrats for starting such a portal where student across Maharashtra can get guidance for MPSC specially from rural and backward area. I did my graduation in BE (computer) and currently am studying MBA from PUMBA,I wish to start MPSC preparation. I will we very grateful,if i get your valuable guidance. Please suggest me proper direction for coming examination. How to study ?,Which Books Shall I prefer? Is it really necessary to join any classes . Well first of all Thankyou. we are still in early phase of this website. It is yet to be developed completely. Moving to your question i would start writing on particularly MPSC from 5th of December. every details and strategy will be given in series of articles focused on mpsc. will surely say stay connected with the site or i m noting down ur email id will forward that articles to ur mail id as soon as i m done with it. and regarding classes i would suggest if u can afford for atleast a half or whole year coaching. do join any one u want to in pune. 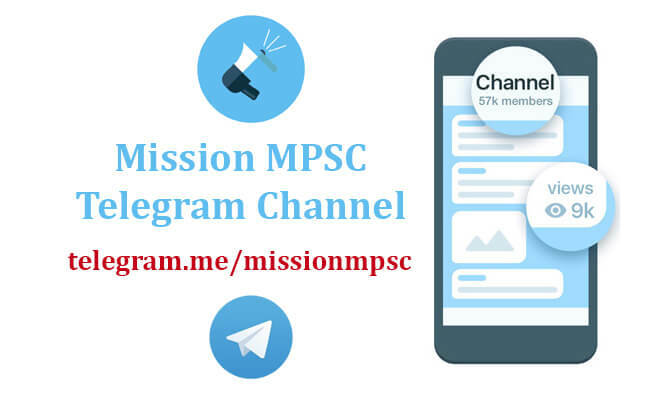 u will come to know the real world n aspects of mpsc and the directions. later you can do it by yourself or group studies. once u get the tactics n studying methods for mpsc. Even i will suggest u to think over UPSC. ur from engg background and if u have atleast 2-3 years more u can try for it.